Every year after Thanksgiving dinner, when the guests are gone and we鈥檙e scrubbing the last of the dishes, my family and I go over the meal in detail. What did we all scoop up seconds of, and what did we push to the sides of our plates? What would we make again next year, and what needs to go back to the drawing board? At this point we鈥檝e pretty much got the turkey (grilled), mashed potatoes (garlicky), and dinner rolls on lock. But every year, we鈥檙e not entirely sold on our sweet potato recipe, the vegetable side dish, and, most importantly, the stuffing. Why can鈥檛 we seem to master the perfect stuffing? Honestly, I think we play it too safe. Switching to cornbread is too sharp of a pivot, and with so many vegetarians in our family, sausage is out of the question. 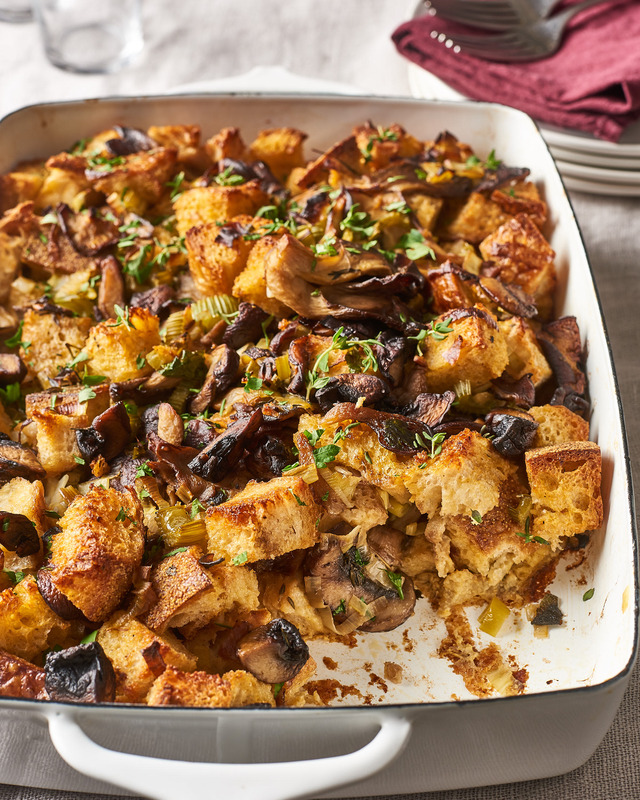 But unlike the mashed potatoes and the dinner rolls, it feels like stuffing is a place where we can have a little fun. That鈥檚 why this year I鈥檓 proposing a wild mushroom stuffing, which I鈥檓 confident will please both the stuffing purists (there鈥檚 still celery and parsley and thyme!) and the adventurous eaters alike. It鈥檚 so good, you won鈥檛 want to wait until Thanksgiving to eat it. It鈥檚 kind of an arbitrary rule that we only eat stuffing at Thanksgiving. Really, stuffing isn鈥檛 much different than a strata or a savory bread pudding, which I鈥檒l happily whip up any time of year. 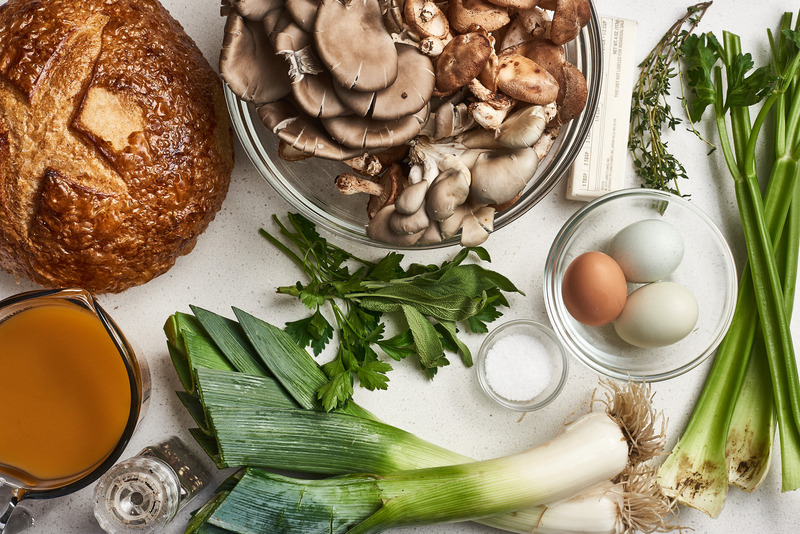 While you can purchase mushrooms year-round, most wild mushroom varieties are at their peak in the fall and winter seasons. 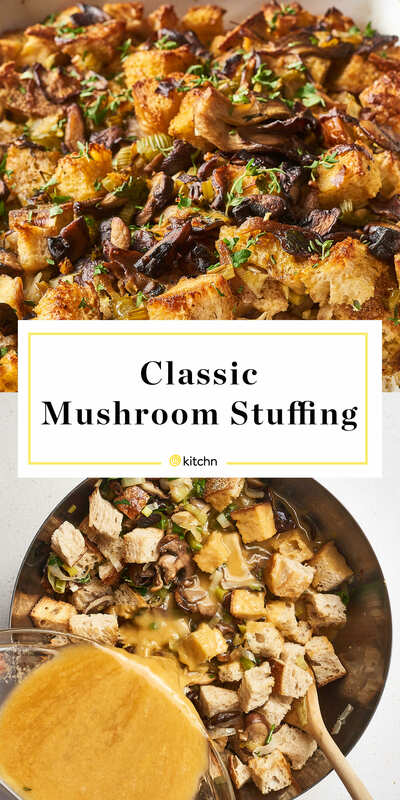 This stuffing is the perfect way to celebrate the start of chilly weather 鈥� it鈥檚 packed with in-season wild mushrooms (a mix of cremini, shiitake, and oyster) and an earthy blend of herbs, and is so cozy and comforting it will warm you right up. Plus, if you are thinking of making it for Thanksgiving, it never hurts to do a practice run. 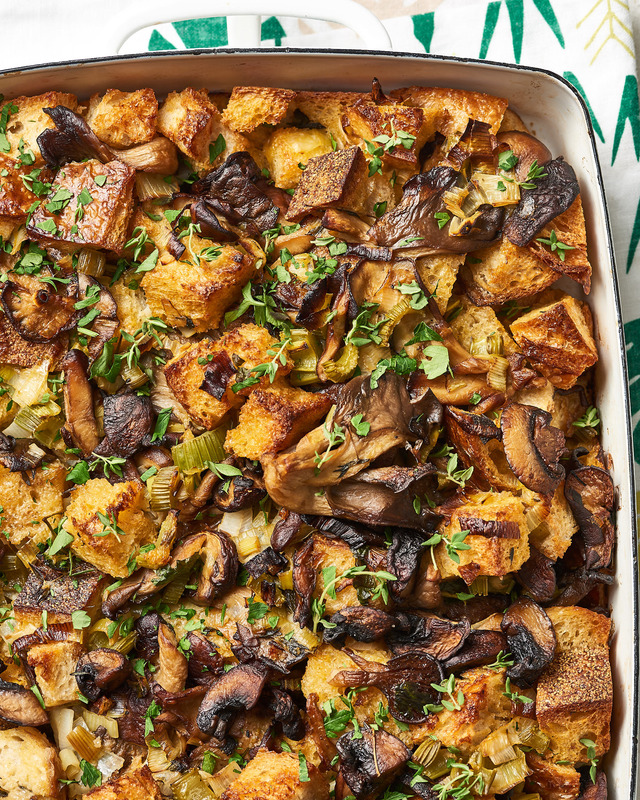 Serve it as a hearty vegetarian main during the fall and winter seasons, then enjoy leftovers topped with a fried egg for breakfast. If you鈥檙e not serving a crowd, divide the mixture into two smaller casserole dishes (such as 8脳8-inch), bake one immediately, then freeze the other for later enjoyment. 1. Use a mix of wild mushrooms. 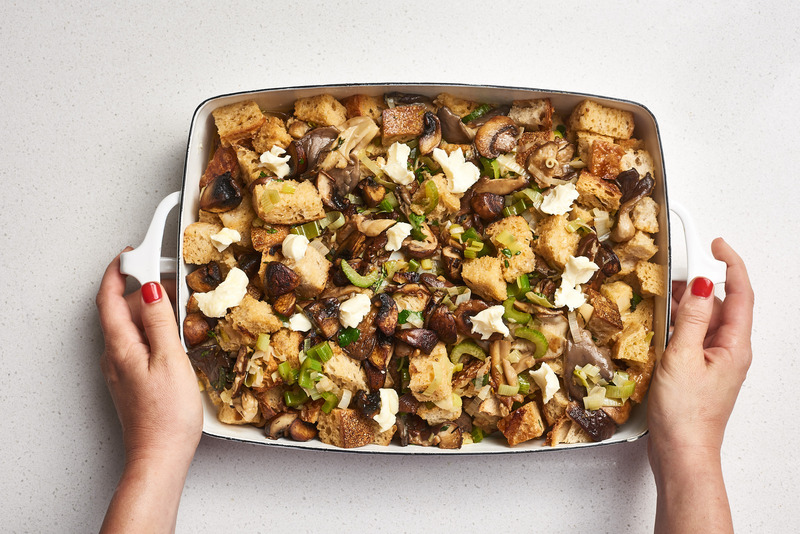 This stuffing is packed with rich, savory, umami flavor, thanks to a whopping 1 1/2 pounds of mixed wild mushrooms. While you can use all cremini or all shiitake with great results, a blend packs in the most interesting medley of flavors. Some grocery stores sell a pre-packaged sliced wild mushroom mix, while others sell their mushrooms in bulk bins. Either is perfectly fine. 2. Cook the mushrooms until the liquid is almost evaporated. As mushrooms cook, they shrink in size and release a lot of liquid. When you first add them all to the skillet, they鈥檒l be heaped in a giant pile, but they鈥檒l quickly cook down into a manageable amount. Continue to cook, stirring occasionally, until they鈥檙e tender and most of the liquid has evaporated 鈥� about 15 to 20 minutes. A little liquid is okay (it鈥檚 packed with mushroom flavor, and will soak into the bread), but too much will make the stuffing soggy. 3. Pack in the fresh herbs. Mushrooms are delicious, yes, but they don鈥檛 exactly add a pop of color to any meal. A variety of fresh herbs 鈥� sage, thyme, and parsley 鈥� not only add quintessential stuffing flavor to this recipe, but they also add a welcomed pop of color that will make this stand out on the table, whether it鈥檚 Thanksgiving Day or not. Heat the oven and prepare the baking dish. Arrange 2 racks to divide the oven into thirds and heat to 350掳F. Meanwhile, coat a 9x13-inch or other 3-quart baking dish with butter and set aside. Toast the bread dry. 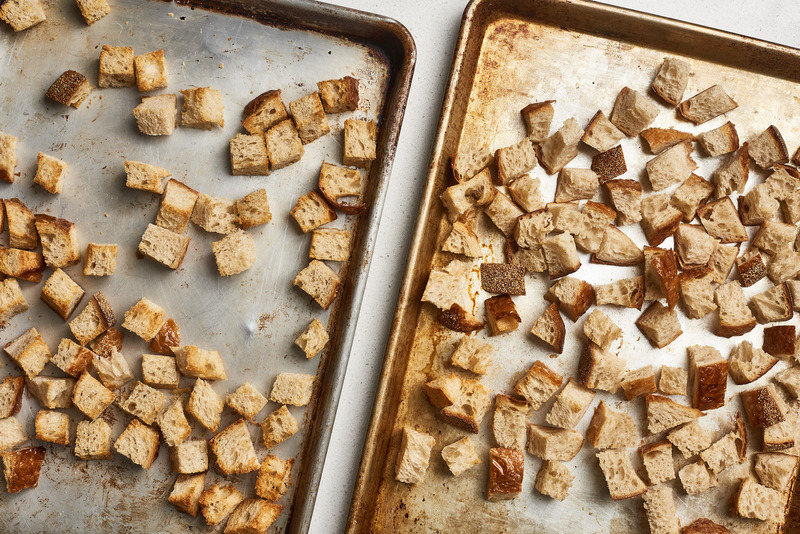 Divide the bread cubes between 2 rimmed baking sheets and spread into a single layer. Toast until the bread is completely dry, 10 to 12 minutes. Set aside to cool. Cook the leek and celery until tender. Melt 4 tablespoons of the butter in a 12-inch high-sided skillet over medium heat. 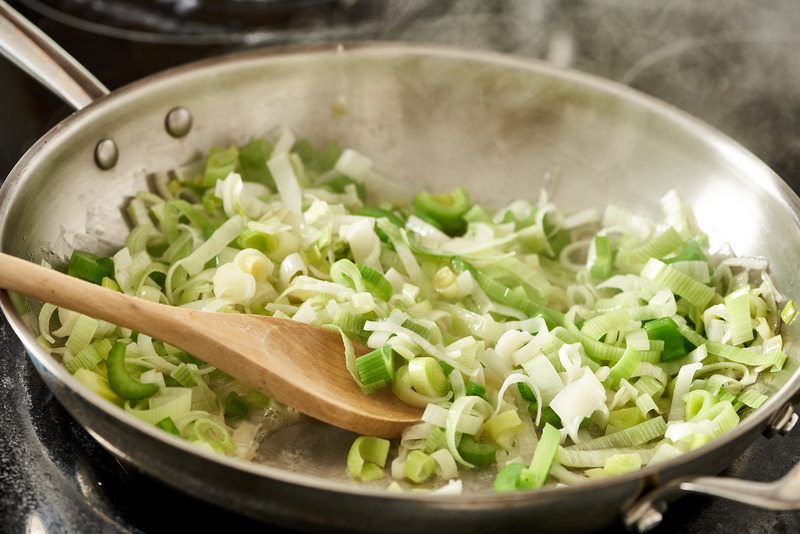 Add the leek and celery and cook, stirring occasionally, until beginning to soften, 6 to 7 minutes. Add the mushrooms and herbs. Increase the heat to medium-high. Add the mushrooms, sage, thyme, black pepper, and 1 1/4 teaspoons of the salt. 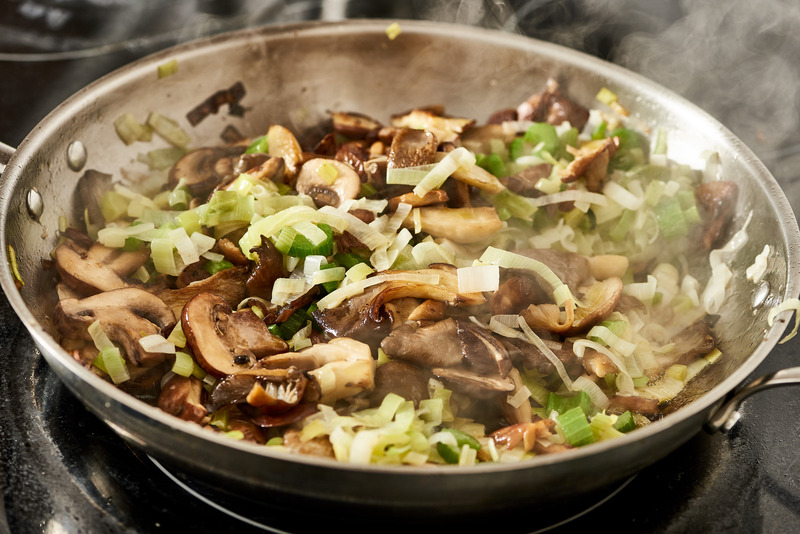 Cook until the mushrooms are golden-brown, tender, and any liquid released is almost evaporated, 15 to 18 minutes. Mix the bread with the mushroom mixture. 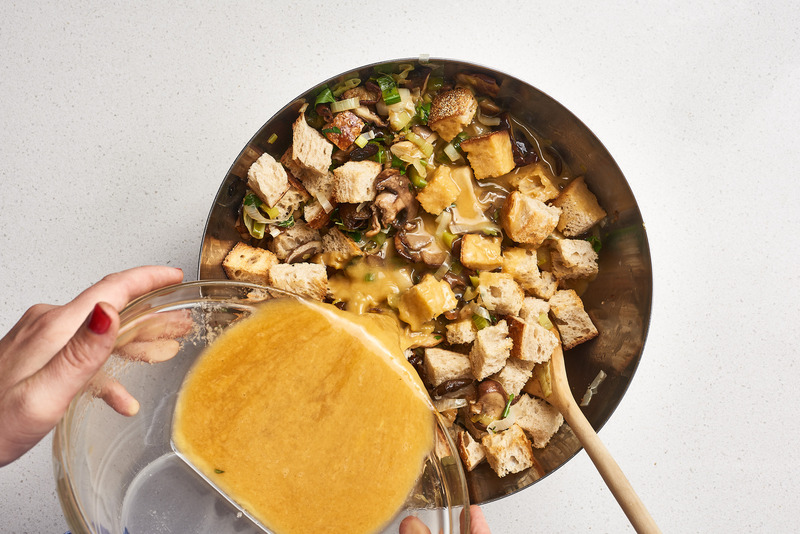 Transfer the mushroom mixture to a very large bowl. Add the bread cubes and parsley, and toss to combine. Whisk the eggs and broth, and mix in. Place the broth, eggs, and remaining 1/4 teaspoon salt in a medium bowl or large liquid measuring cup and whisk to combine. 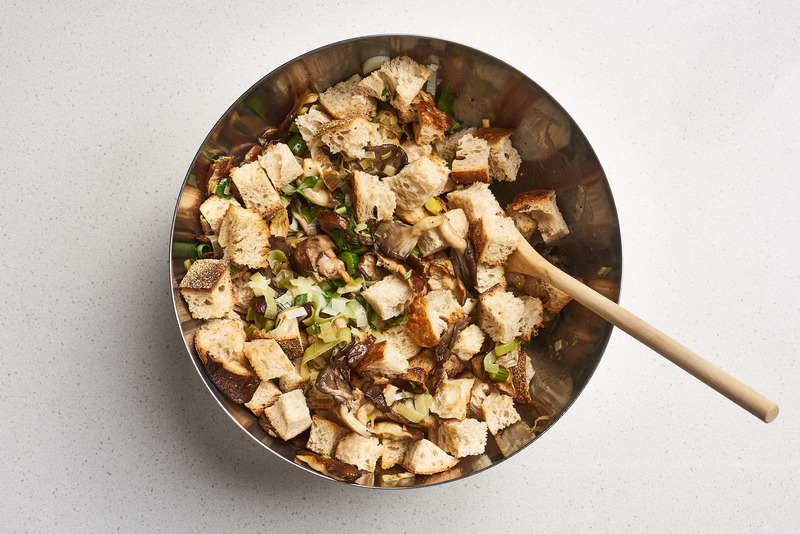 Pour over bread and mushroom mixture and use your hands or a large spoon to gently toss until all the bread is evenly moistened. Transfer to the baking dish and top with butter. Transfer to prepared baking dish and spread into an even layer. Cut the remaining 2 tablespoons of butter into small pieces and dot the top of the stuffing with the butter. Cover and bake. 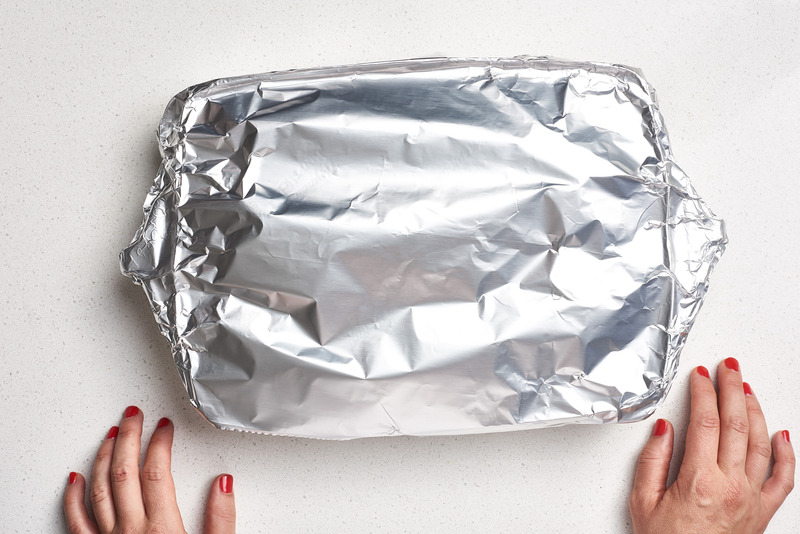 Cover the baking dish tightly with a lightly buttered piece of aluminum foil. Bake until warmed through and slightly puffed, 20 to 25 minutes. Uncover and bake at 425掳F until crispy. Increase the oven temperature to 425掳F. Uncover and bake until the top is golden-brown and crisp, 20 to 25 minutes more. Sprinkle with more thyme leaves before serving. Make ahead: The bread can be dried out in the oven a few days before and stored in an airtight container at room temperature, or just left out on the baking sheets overnight to dry at room temperature instead. 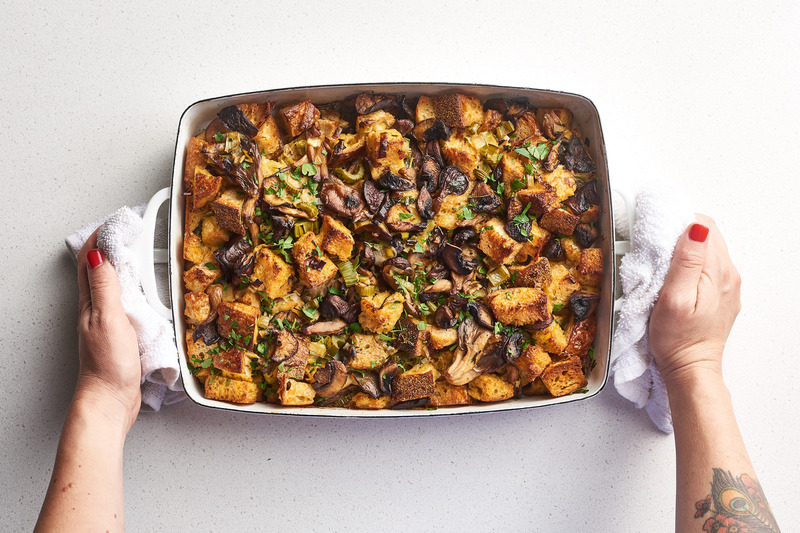 The stuffing can also be completely assembled, topped with butter, covered tightly with buttered aluminum foil, and refrigerated overnight. 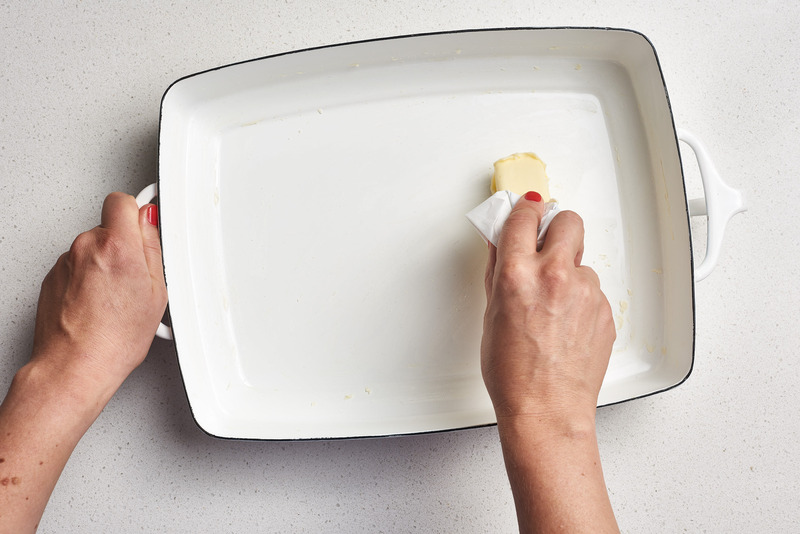 When ready to bake, let the baking dish sit out on the counter as the oven heats. Bake for the same amount of time. Storage: Leftovers can be refrigerated in an airtight container for up to 4 days of frozen for up to 1 month.